The silkworm is actually the larvae, or caterpillar stage, in the life cycle of the silkworm moth. 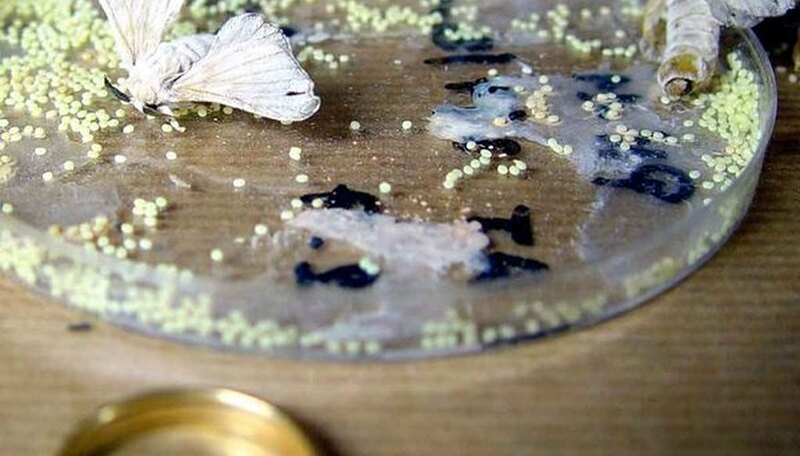 If allowed to develop from pupa, and not destroyed at this stage in the cycle so that silk can be created, the caterpillar will develop into a creamy white moth patterned in brown---scientifically named Bombyx mori. 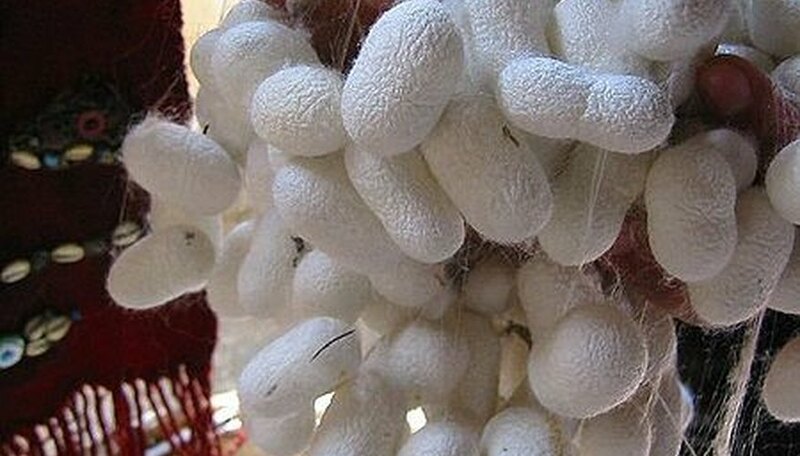 The domestic silkworm can no longer be found in the wild, but the wild silkworm and other silk-spinning relatives remain untamed. 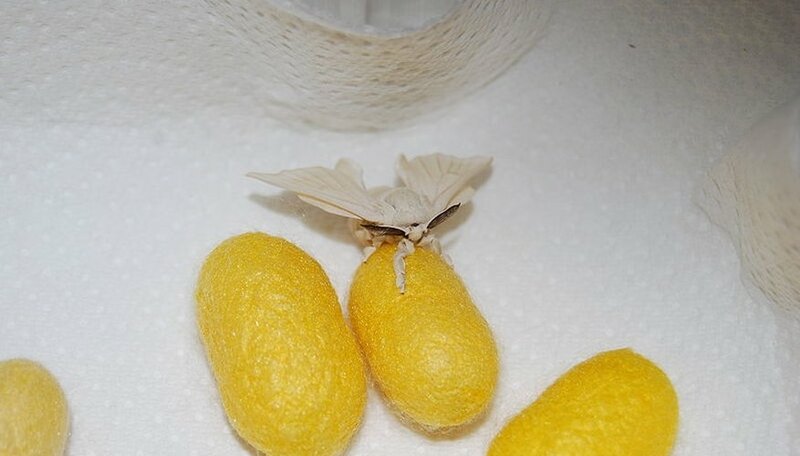 As a domesticated insect, the adult moth has lost many of the abilities it once had, including the ability to find food and defend itself against predators. In addition, the silkworm moth can barely fly. Copulation between silkworm moths lasts for several hours. After mating, the female silkworm moth lays her tiny eggs on mulberry leaves. Silkworm moths do not eat or drink in the final stage of their life cycle, they mate; the female lays her eggs and the adult moths die. In areas where the seasons change, silkworm moths reproduce only once each year. In areas where the climate is always warm, the moth's life cycle is ongoing. In areas where the seasons change, the female silkworm moth lays her eggs at the end of summer, and the eggs do not hatch until spring. If the area in which the eggs are laid is continually warm, the eggs will hatch about 10 days after the moth laid them. From within the egg, a tiny silkworm, about an 1/8 inch in length, emerges. 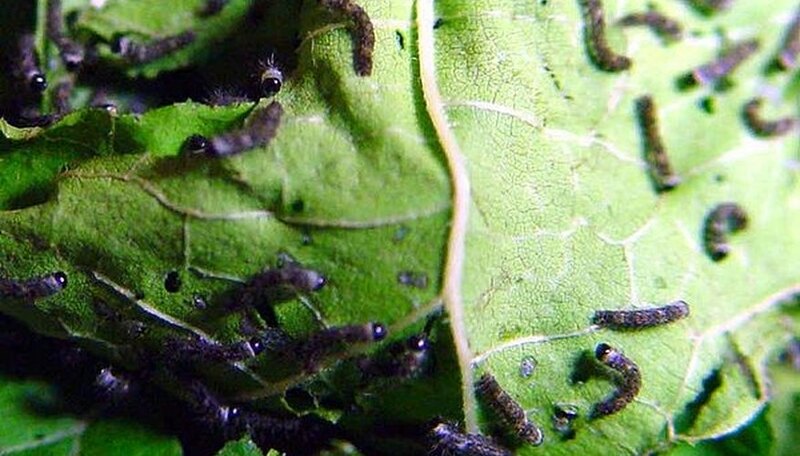 The caterpillar is covered in black hair and goes to munching on the mulberry leaves as soon as it leaves the egg. In the larva stage, or caterpillar stage, the silkworm will go through four molts before going into pupa. Just before its first molt, the head of the worm will turn a bit darker than the rest of its body. Each time it molts, it sheds the old skin and grows a larger one. 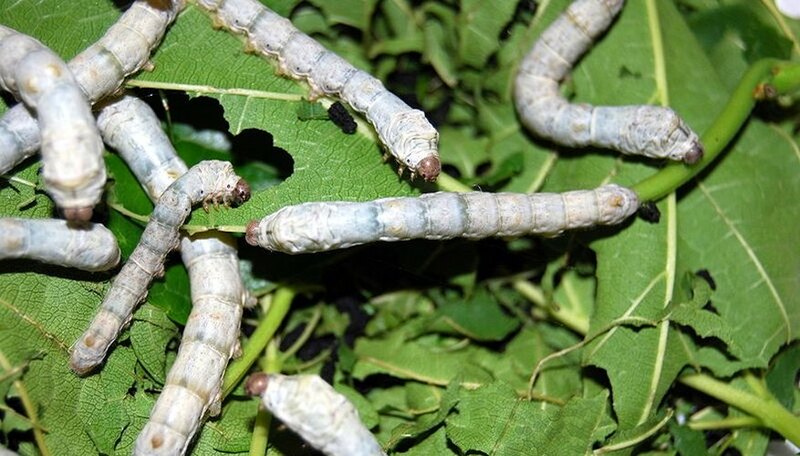 The first molt takes away the young silkworm's hair and leaves it as a white, smooth and soft caterpillar for the remainder of its days as a silkworm. The larva of silkworm also develops a horn at the back of its body following the first molt. 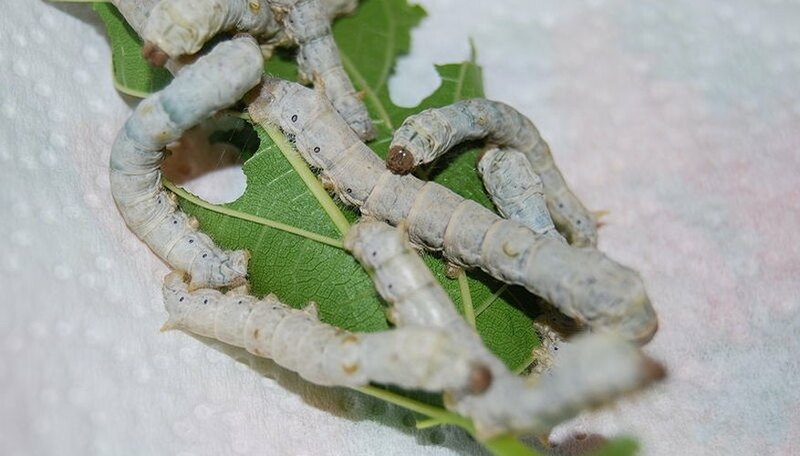 The periods between molts are called silkworm instars. The larva stage lasts between 24 and 33 days. Following the worm's fourth molt, the silkworm will appear slightly yellow, and its skin will appear tighter than it did in other stages. The silkworm spins itself in a silk cocoon, made of one single thread that may be nearly a mile long, about the size of a cotton ball. Within the cocoon, if the process is allowed to complete itself, the worm is changing into a moth and will emerge as an adult one to two weeks after entering the cocoon. The silkworm moth is hairy and has a wingspan of about 50 mm. The male moth is smaller than the female and actively seeks her out. The female moth releases pheromones to attract him, and the male moth has longer antennae than the female to detect pheromones from a distance. When the two find each other, they mate and the life cycle begins again. Foster, Bethney. "Life Cycle of a Silkworm." 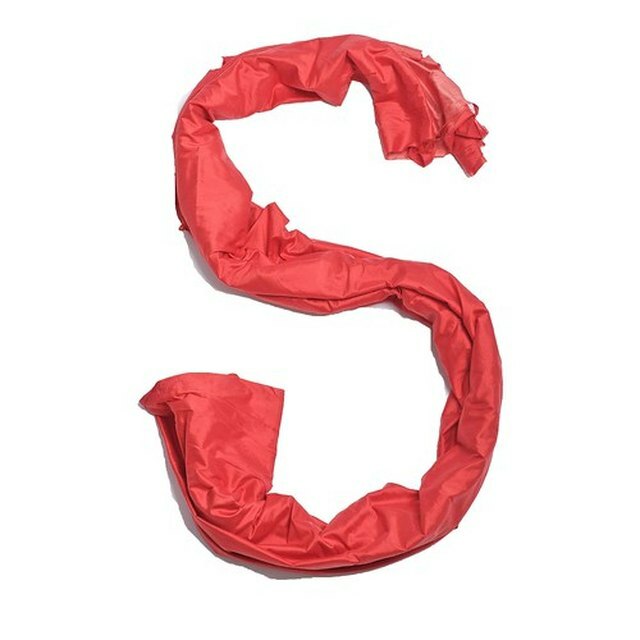 Sciencing, https://sciencing.com/life-cycle-silkworm-5377409.html. 02 August 2018.